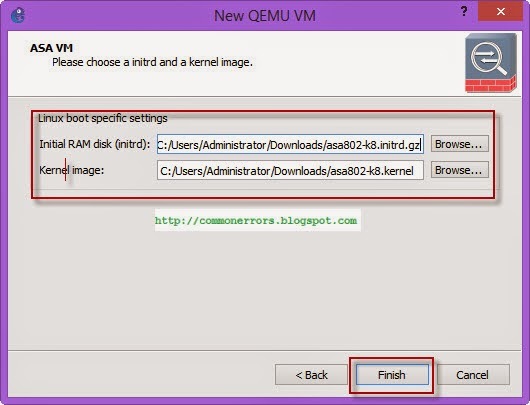 Can't Start Qemu on 127.0.0.1 port 10525 ? Verify that your directory and paths point to the actual files you will be using. When I fired this up for the first time it pointed to directories that had no files in them. Do a "Test Settings" to check. That fixed me up. Nothing coming up on console !!! Hey bro,how is asa working. i tried many times.its nott working.if u have nay solution please help out me. I am new to gns 3.I try to download ios for firewall but I can't able to find it.If u have the link,please share for me. it worked fine but can someone give me the password to the enable mode thanks ! I install asa firewall image in my lappy windows 10 os while i open firewall console mode just showing only "#" if i will type anything just giving this (-ash: conf: not found) massage. Can anybody help me with this please ? Please let me know I want free software . i am trying to install ASA ios in windows 10, but nothing comes up in console. getting error in console that connection can not establish..
Hi Sir/Ma'am, can't run ASA on my GNS3 version 1.5.3. 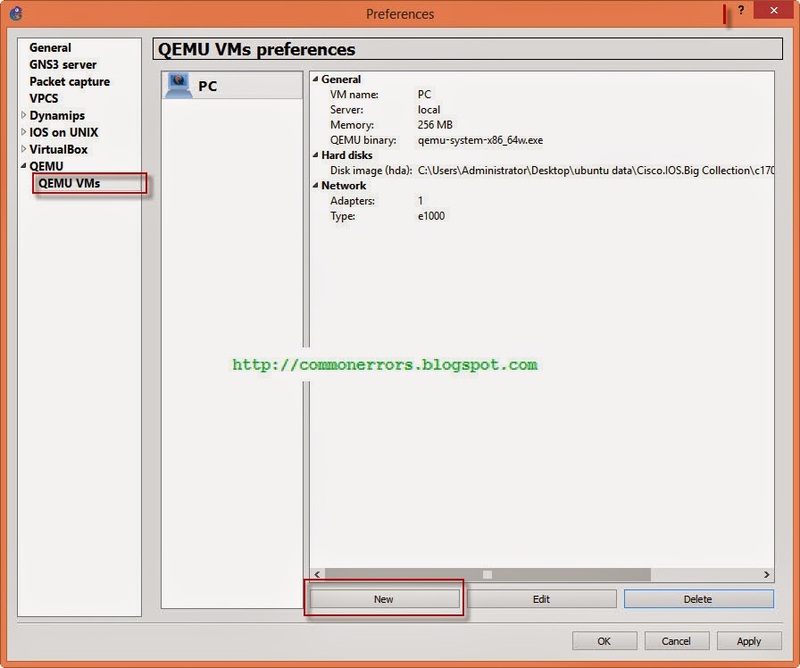 There's no option on the QEMU VMs to input the kernel image of the ASA. Please help. Thanks.